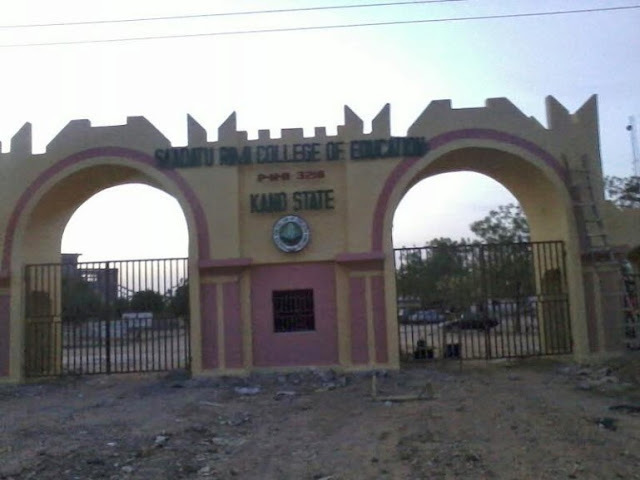 A man, believed to be the son of the Emir of Ringim, have been detained on suspicion of organizing a suicide bomb attack at Sa’adatu Rimi College of Education, Kano State. According to several unconfirmed reports, one of the sons of the Emir of Ringim, Alhaji Mahmoud Sayyadi, who was driving his SUV car ignored the orders of security guards to stop for identity verification and forced his way into the campus. Such man’s behavior provoked panic and pandemonium, the university activities were immediately stopped as students sought safety in flight. Later when security guards forced him out of the car, the young man confessed that he came to the university to meet his friend and has no link to the terrorists. When the threat has passed, angry students returned to campus ready for reprisal but luckily for the troublemaker he was detained by the police that was called by a concerned citizen. The police applied minimum force to restore order and took the the suspect into custody. His vehicle was towed to the police station as unspecified amount of hard drugs were recovered from it. The case is still under investigation as the suspect’s identity is yet to be established. Commenting on the incident, the police public relations officer in Kano confirmed the incident and the arrest of the suspect.